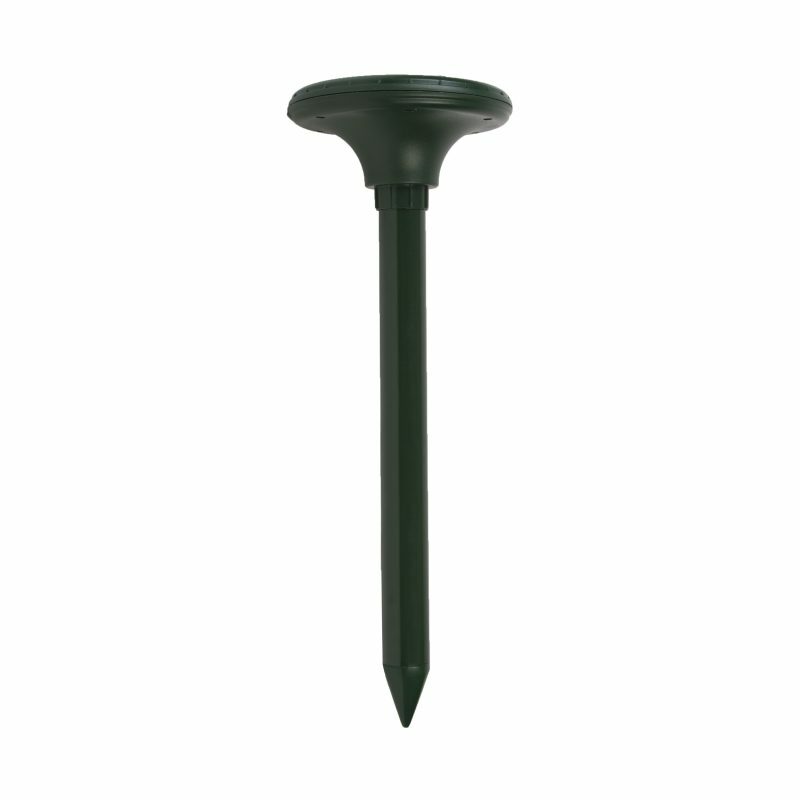 Solar Pest Repeller - SunForce Products Inc. 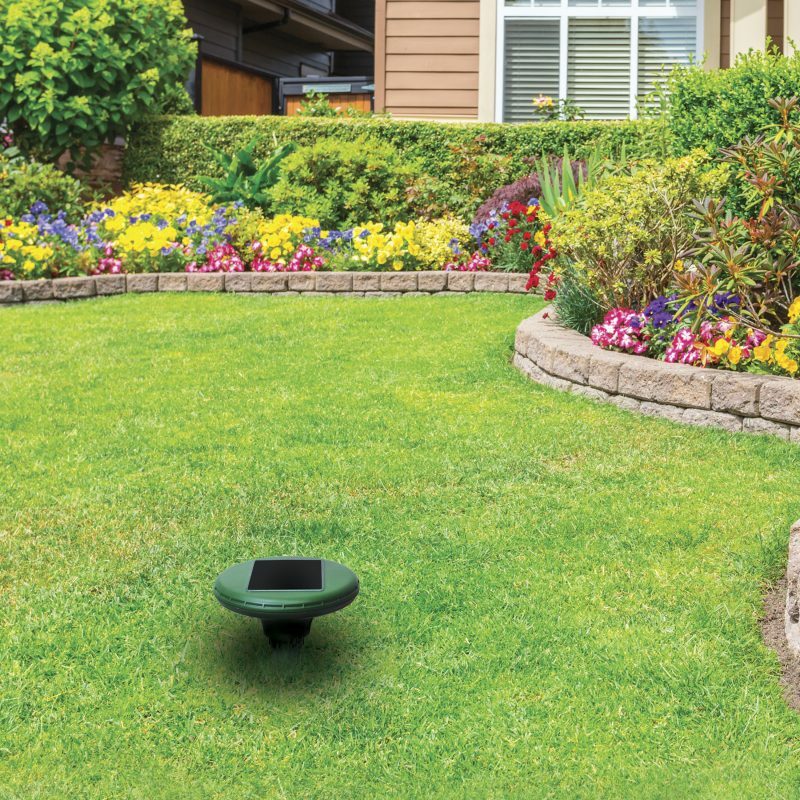 The Sunforce Solar Pest Repeller utilizes a powerful combination of vibration and sonic waves to deter moles, gophers, and other small burrowing pests from damaging lawns and gardens. What type of animals does the solar pest repeller affect? 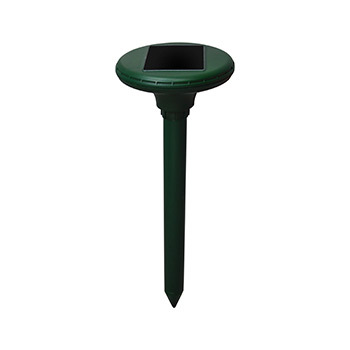 The solar pest repeller is designed to repel small, ground burrowing animals, such as, moles. How do I know if my solar pest repeller is working? The solar pest repeller emits an audible beeping sound and intermittent vibration. You will be able to hear and feel this if the pest repeller is removed from the ground. If the sound and vibration are not present, the batteries may need replacing or charging. 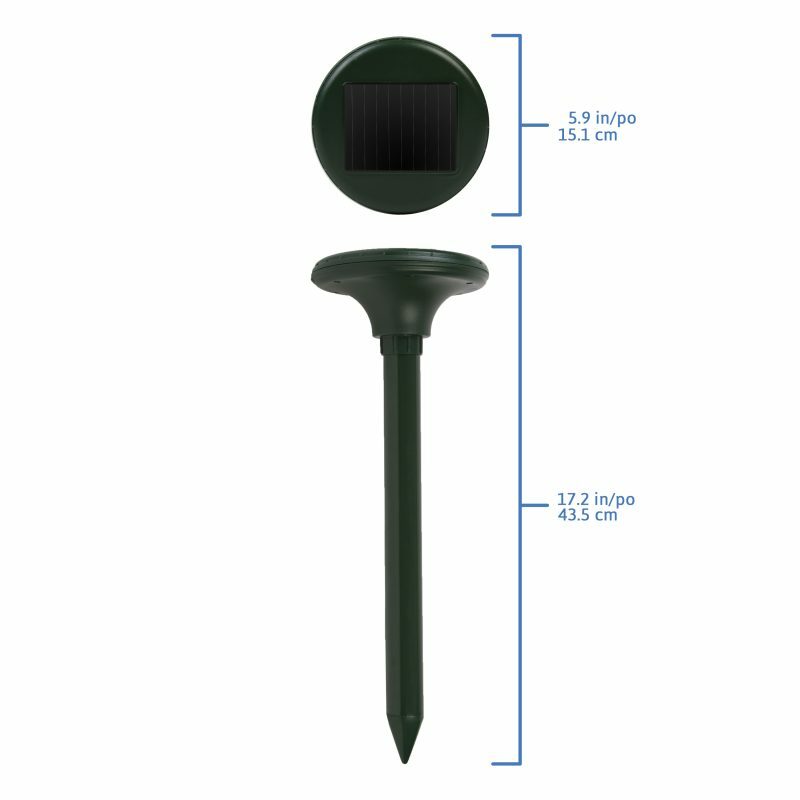 Should I store away my solar pest repeller during the wintertime? Yes, if the weather conditions in your area freeze the ground. Yes, this pest repller comes with a 1-year limited warranty.